Kryz is a blogger, designer, and bestselling author from Cebu City in the Philippines. Prior to blogging full-time, she studied Communications Technology Management, Business Enterprise, and Luxury Brand Management. Her blog began in 2009 as a school project and has grown into an internationally recognized site, which Kryz says has been an unbelievable experience. When she’s not blogging, Kryz designs an accessory line called February Lifestyle. She works with local artisans in the Philippines to create handmade products and promote their work to a global audience. She also published a book in 2016 after over a year of writing and editing. Called Behind the Blog, the book gives a behind-the-scenes look at Kryz’s life offline and was a bestseller in the Philippines. Though she stands at 5”2’, Kryz doesn’t have much trouble finding clothes that fit—living in Asia, petite sizes are fairly normal. And when she can’t find a size, she says, there’s always the kids section! 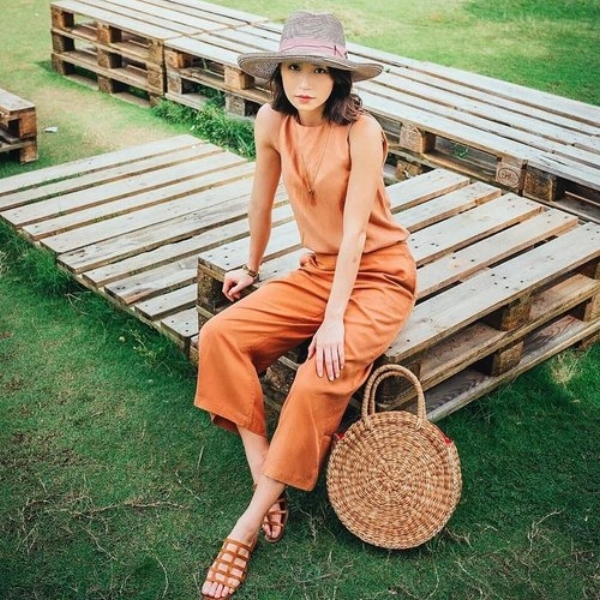 She describes her style as playfully sophisticated and often posts styling advice on her blog, from outfits for different weather conditions to looks for specific events. Overall, Kryz hopes her blog sends the message that everyone should be themselves. She wants her followers to accept their uniqueness and know that it makes them special.